Disclosure: This post is in partnership with FreeYumm. As always, opinions are all my own. My kids started at a brand new school this past September after we realized the public school system just wasn’t right for them, and with new schools come new rules and new allergies for kids and classrooms! My kids have no allergies as of right now, knock on wood, but so many kids do and I always try to make sure I send snacks to school that are allergy friendly but it can be hard when you start a new school with new rules, how are you to know? There are so many things people can be allergic to. Turns out Jayden’s teacher is allergic to melon. He can’t take any type of melon, so therefore the school is a melon free zone on top of being peanut/nut-free as all schools are in Ontario. We have always taken precautions to make sure we never send anything with nuts, but the melon was new to us. I also never really considered any of the other 9 allergens either, which makes me feel awful now but I’m glad we’ve finally found something that I can feel good about sending and know those top 9+ allergens are covered when my kids want to fill their bellies with FreeYumm Treats. Just because my kids don’t have allergies doesn’t mean others in their class or school doesn’t, so it’s very important to me to make sure my kids have appropriate healthy snacks they can take to school that is safe for everyone! Snacks for school can get repetitive and boring. No one wants that. I am sure taking the same things over and over again makes for a boring lunch the kids don’t really look forward to which results in somedays snacks coming back home. I don’t want that, I want to be able to offer a variety and know my kids will eat what’s sent with them to school so they can fuel their bodies and minds for a great school day. 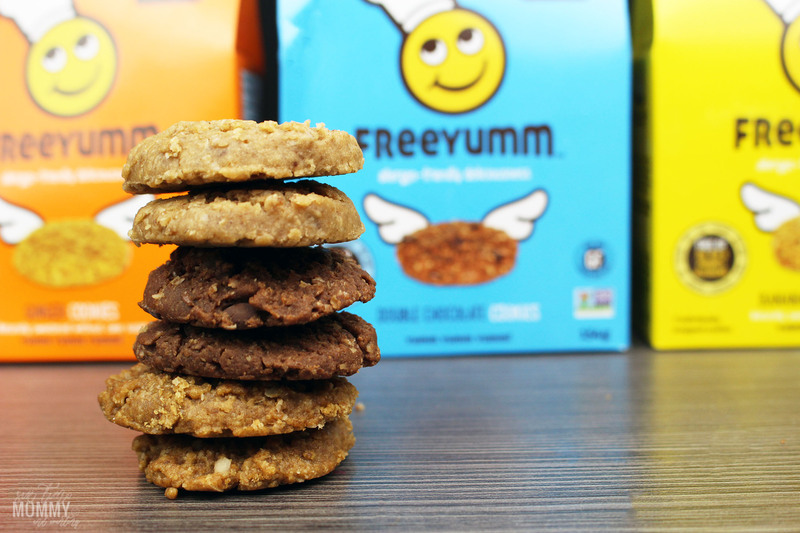 FreeYumm doesn’t use any unhealthy fillers in their bars or cookies and no highly processed sweeteners. For more information on the ingredients, visit here. Allergies come in a wide variety of forms. Did you know some people can be fine around specific types of foods they are allergic to while others allergies are air-born meaning even the smell of them in the room can cause serious issues, sometimes even anaphylactic shock? 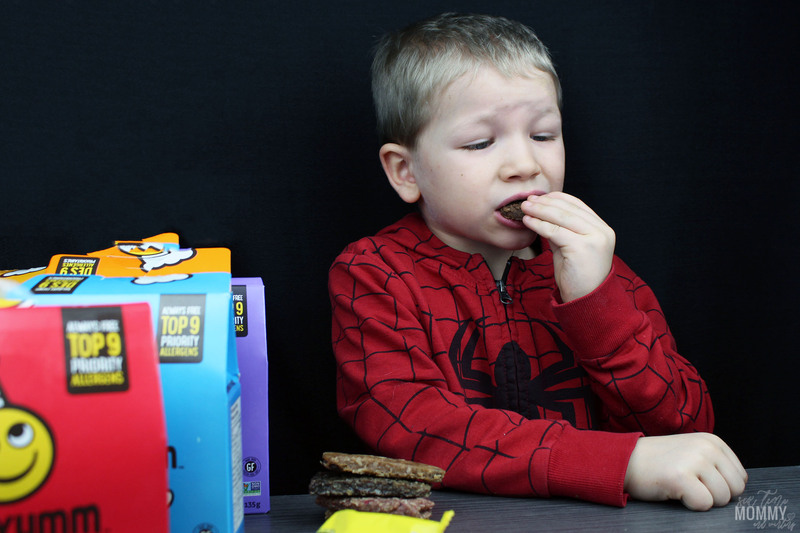 No one wants that, and although it can be a minor inconvenience to you if your child is picky, and you have a long allergy list at your school it’s important we all do our part to make sure everyone is safe when it comes to snacking. 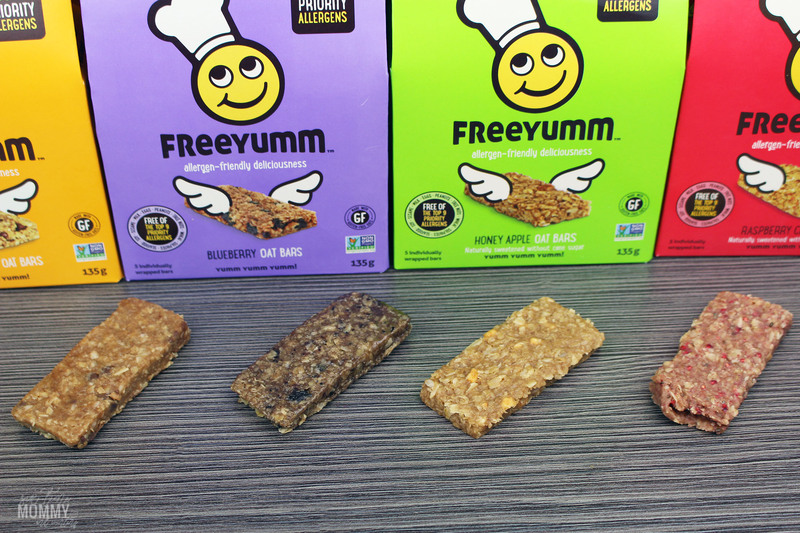 FreeYumm allergen-friendly treats are the perfect school snack. 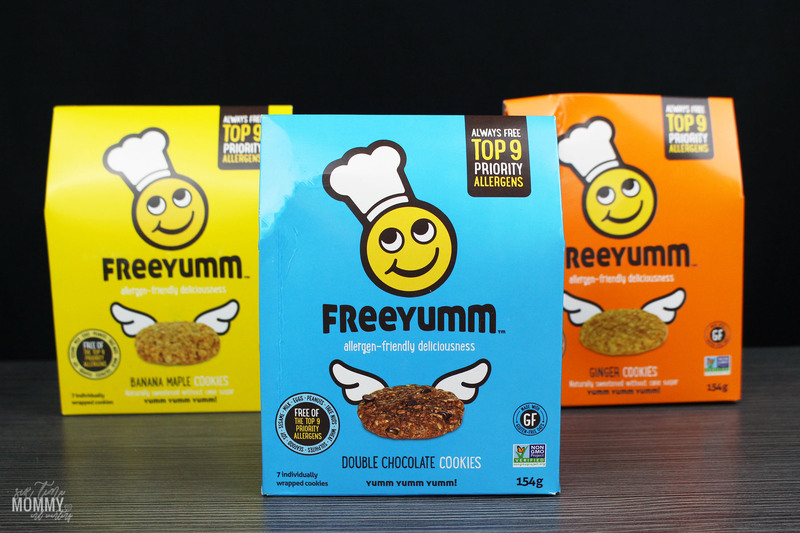 All FreeYumm products are made in a dedicated allergen-free bakery and are designed with everyone in mind. 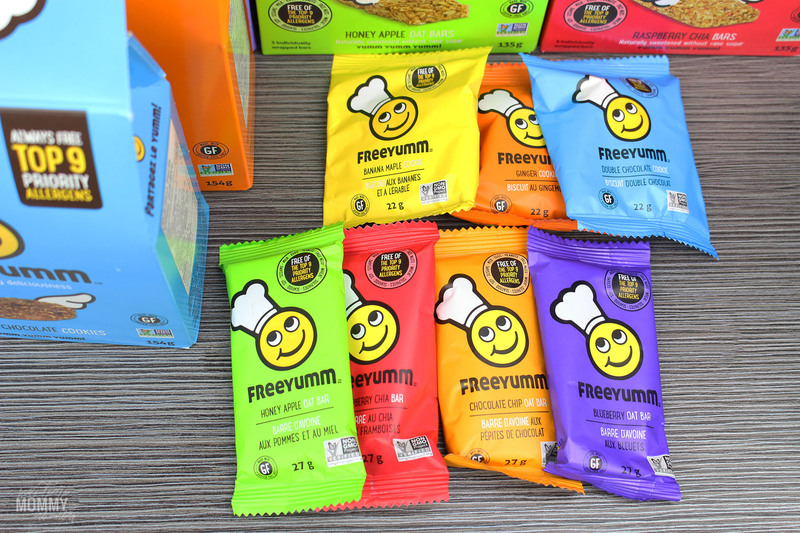 FreeYumm snacks are also free of the top 9 allergens including milk, eggs, peanuts, tree nuts, wheat/gluten, soy, fish, shellfish, sulphites, and sesame. 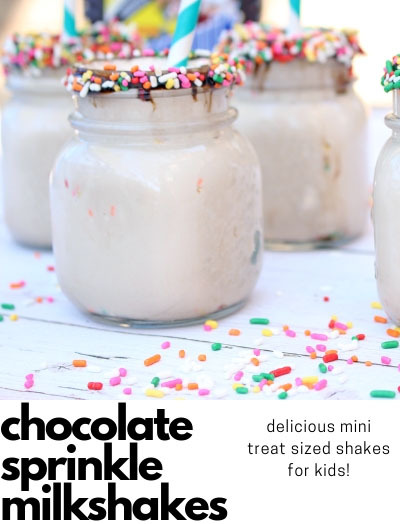 Meaning you can even take these to school as a classroom treat on special occasion days and everyone can be included when enjoying these delicious treats! FreeYum bars and cookies are made with specially selected ingredients that have themselves been produced to be free of priority allergens. In addition, the FreeYumm staff of trained bakers works diligently in a dedicated facility to ensure the top 8+ priority allergens are never allowed on site. FreeYumm uses healthy ingredients, including natural sweeteners and whole grains. They also use organic and non-GMO where possible. 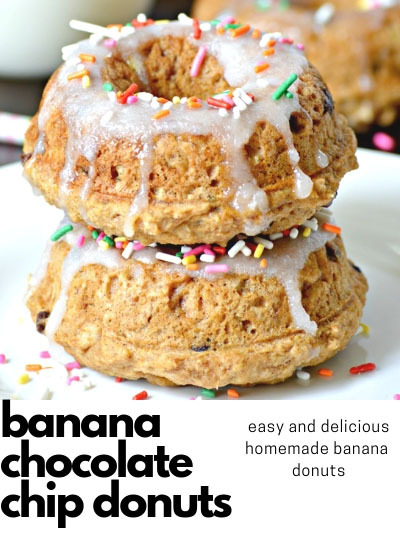 With flavors like double chocolate cookies, banana maple cookies, ginger cookies, chocolate chip oat bars, raspberry chia bars, blueberry oat bars, and honey apple oat bars there is something for everyone! 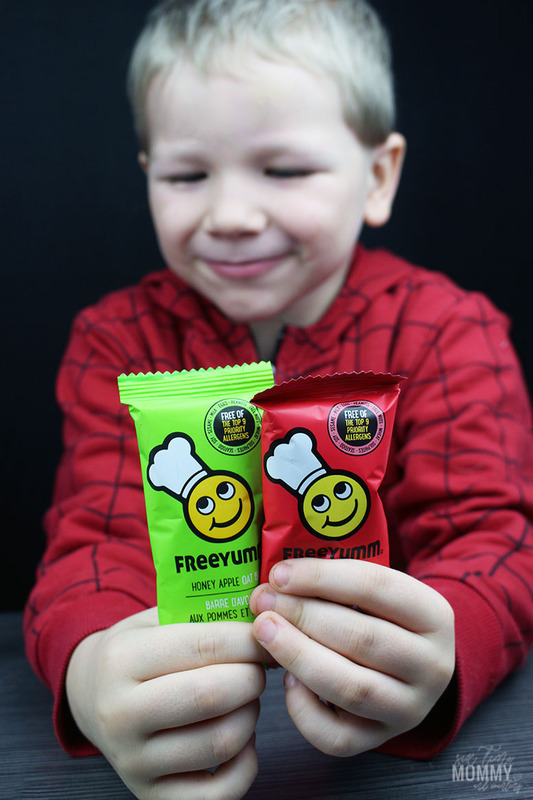 If you are looking for variety and want to make sure your kids can fill their bellies at school or on the go while also making sure everyone is protected during snack time be sure to check out FreeYumm Treats for all the delicious flavors. 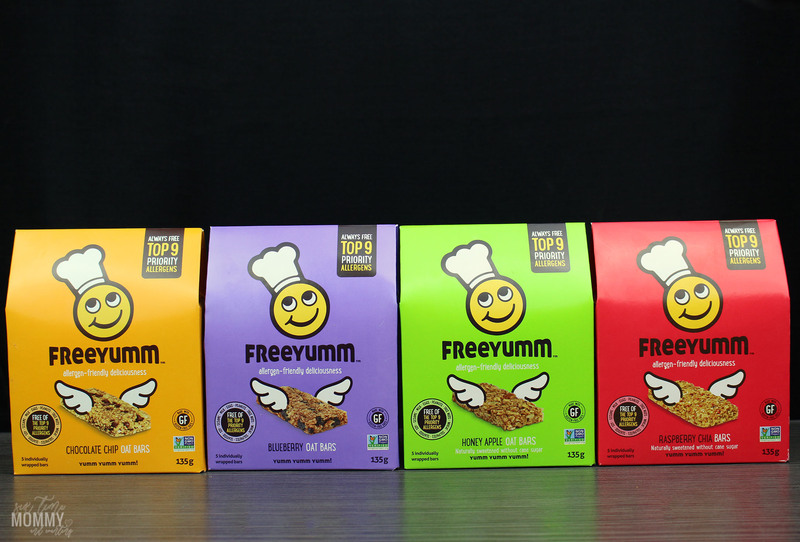 Also be sure to check out the store locator to find a store carrying FreeYumm products near you!